And so we move another step closer to YOUR FINANCIAL FREEDOM & SUCCESS. The last two years of development have given us a FANTASTIC business concept & system promoting a FANTASTIC industry leading product with FANTASTIC rewards for everyone who chooses to take part. We’re computer programmers after all but we’re not just here to play POKER. We’re here to make MONEY. Lots of it. Just like YOU. So what we did was go and find some sales superstars to tell us how. To show us every single step in the simplest terms possible. PROVEN techniques, tips and strategies that ANYONE CAN DO and that are entirely duplicatable (this is important, more on that later) In fact we went and spoke directly with people who have shot to 5 figures per week in other MLM companies to explain exactly how it can be done. These are people who have retired with fortunes being paid into their bank accounts every week from selling household detergents, vitamins and fruit juice through an MLM business!!! Will these same techniques work for POKER??? Can a person really be earning €100,000.00 A MONTH 6 months from now WITH BFLUSH??? The group we’ve found to light the way is called MyLeadSystemPro and THEY GUARANTEE IT. This is the wisdom and experience of the top earners who have already done it. And when you listen to them you will quickly realize that they’re just normal people like you and I. Some of them talk slow, some of them talk too fast and some of them have trouble with their spelling but they have the fundamentals right which have led them to millions in a predictable and thoroughly fulfilling way. We’re not talking about get rich quick schemes here. There’s work involved but when you do things in this streamlined and targeted way the path forward becomes a series of simple steps. If these people can do it ANYONE CAN!!! In fact there are just too many proven, simple and successful strategies here to take in all at once. You can pick the ones that suit you best and grow into others as you become more knowledgeable. Also you’ll be given the chance to become an expert in each and every one of them if you wish. But let’s make some money first. The following webinar details 10 methods of generating leads that we suggest you become familiar with first. (You’re gonna LOVE #4) Also the things that you should be saying and what makes people choose to become involved. We’ve summarised them below and adapted them to the BFlush offering but the video will give a complete overview as well as a superb insight into the mindset of the super successful. There are another 8 webinars available after that, which will show you how to automatically generate leads and business in a multitude of different ways. Facebook, Twitter and blogging (which is VERY powerful) just to name a few. ENJOY!!! Ray Higdons Top Ten PROVEN Prospecting Tricks to Unlimited Leads. 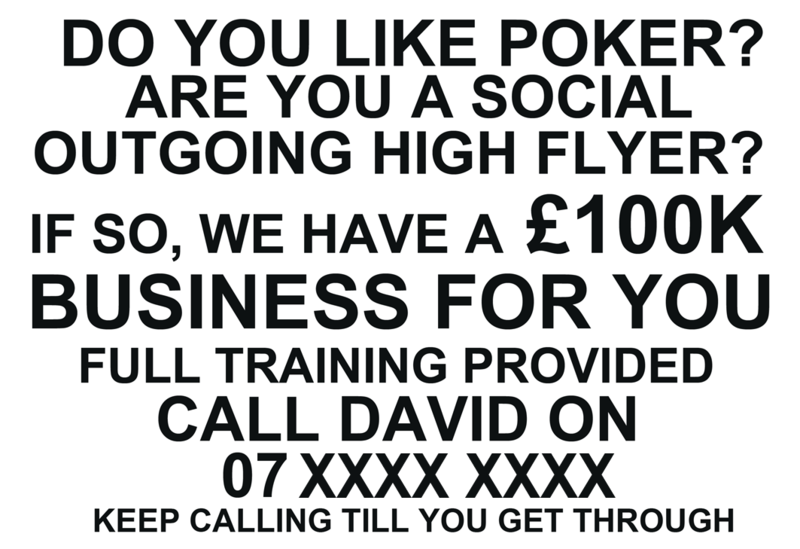 Would you like a predictable flow of interested high calibre operators calling YOU and pitching YOU to accept them? Dream candidates who already know what this opportunity is all about? That seems a much better way than approaching person after person with your pitch and making a nuisance of yourself. In fact, one of the most important things we picked up in the webinar above was that you shouldn’t pitch your business. That’s right, the success stories just don’t do this. A lot of people get caught by starting to carry on about what a great product they have and all the features and tools that are available and all the reasons to join etc. And this just scares people straight away because they think that they’re going to have to do the same thing. A far better method and one that is explored fully throughout MLSP and all their webinars, is to find out what a persons problems are and then to deliver the solution. And if it’s SIMPLE or even FUN, people can’t help but join up. REMEMBER EVERYONE WANTS SUCCESS AND FINANCIAL FREEDOM. Tip #1. Use the tools provided. There has been a lot of time and effort spent on developing these basic but very powerful tools. The “Invite a Friend” facility is a very simple way to approach people. Simply enter in your friends details and send it away. The person contacted will receive an email where every link automatically takes them through to your personal website where they will automatically go into your frontline when they register. Our software leaves a cookie in their browser which means that they can turn the computer off and walk away but every time they view the Bflush website they will still be going into your frontline. The invite a friend facility can be found in the marketing tab of the members area. You’re also provided with the unique URL (web address) to your personal website. This will look something like: http://www.bflush.com/index.html?promocode=1000012 and can be found in the Marketing section of the Members Area also. One very smart thing to do though is to create your own web address and redirect it to your personal BFlush website. For example Elliot Michell went and reserved the name www.bflush.com (no “e”)and redirected it to his BFlush URL.This means that he doesn’t even have to remember his promotional code number and neither does his prospective downline. He just gives them www.bflush.com and everything is done automagically. Another very useful item are the brochures that have already been written for you. These can be found in the Marketing Area also and have your promotional code there already. These are handy when you're explaining the general concept ot people. These files can be manipulated in Photoshop or Illustrator to display your own link when you get one. Email us and we'll do it for you. There are literally hundreds of events every year up and down the country and they’re full of people looking for opportunities and ways to make money. Generally speaking you should be able to speak to as many people as you want. If you're having trouble breaking the ice though, one way to HAVE PEOPLE APPROACH YOU is by sticking a note on your back. Not a "KICK ME" note but something that says "I'M LOOKING FOR PARTNERS FOR A SIDE VENTURE." It gets noticed and INTERESTED PEOPLE WILL APPROACH YOU. Attraction marketing is all about having the right kind of people approaching you rather than you chasing them. Make sure you have A brochure to help explain it and start talking. This is so simple it's scary. Pubs, restaurants, train stations, Bus shelters, employment agencies, office lifts, inside the buses and trains; you name it. Simply go out and buy a rubber stamp with the same type of stamp as the one displayed here and a couple of books of Post It Notes and away you go. This is very inexpensive and you can GENERATE AS MANY LEADS AS YOU WANT. If you go out with the intention of sticking 100 of these post it notes up I will guarantee you'll be getting phone calls before you get to the last one. This works quite well as a general advertisement also. Don't place it in too large a publication though. You'll be overwhelmed. Another very simple and very effective way to build this business is to make direct contact with the individuals within any industry that employs salesmen. Especially at the moment as the economy slowdown has left them without a great deal to do and a real reduction in their pay packets. The basic pitch is something along the lines of; “Would you be open to a way of making some money on the side if it didn’t interfere with what you’re doing now?”. You'll be amazed at how many jump in. They're always looking for something that can give them real financial benefits, especially if it costs nothing to get started. If you use the some of the lead generation techniques detailed here it's quite possible you'll be overwhelmed. If you find yourself with out the time to get to every one it's a good idea to have a backup plan. One of the best is to invite them to a free seminar. We do ours in our local Pokmer league pub. the Landlord loves us. We've turned it into quite an energetic venue rather than the old mans pub that it was. (On Thursday nights at least). There are a great deal of variations on this as well. Listen to the video to garner more ideas. Even though people may refuse to get involved. It is always worth asking if they know anyone who could benefit from what we're doing. Once again the video goes into much more detail and shows you how to ask in a convincing and non threatening way. This involves taing people cards from notice boards around the place and making contact with them and is a bit blatant but often works as people who put their cards up on notice boards are obviously looking for things. A simple pitch thatis suggested is "Not sure where I found your card but would you be open to a side project that doesn't interfere with what you're doing now?" This isn't one of the ones I'd be concentrating on but if you see some has left their card around the place you can give it a go. This is a fantastic way to not only keep on top of new developments in our industry but also to identify people in the news that may be interested in what we've got. not one of the major ones but worth setting up. Tip #10. People that you meet. This particular tip is obviously dependant on your abilities to communicate the fantastic opportunity that you have the power to bestow. There are entire libraries of books written on this subject but one of the main tenets of Attraction Marketing is to identify a problem that the prospect has and then to deliver the solution. Don't chase, organise it so that you're talking to people who are already interested in what you're doing. We've detailed a few good lines you can say during the course of the conversation below. These are particular to our offering but the video details an excellent general approach that delivers results without making you feel like a salesman. View it and then make sure you remember these lines and facts. In the next 60 minutes the world online poker industry will churn over in excess of a 100 million dollars. I‘m going to invite you now to join us in reaping as much of that as we possibly can. What you have before you is something very unique that will let you to build an income as large as you like. If you want to make 10,000 euros a month, you can do it. If you want to make 500,000 Euros a month, you can do that too and we’ll show you how right now. There are already people who are earning this type of money and there’s no reason why you can’t too. By merging multilevel marketing with poker we’ve created the most fantastic business there is and in the next couple of minutes I will take you through the site and show you exactly how it works. You’ll be glad to know there’s no upfront costs and you can do it in your own time so sit back and relax and you enjoy what I’m about to show you. BFlush is very much a win/win situation for everyone concerned. The members profit, the poker room profits. That’s why we’re doing this. Online poker is increasing at the rate of 36% per annum. And it’s already a huge market. We want to increase our share as much as we can. Playing poker is obviously very enjoyable but making money is a lot more fun and that’s what we all really want to do, is make money and have fun have doing it. BFlush is almost more of a social event than a business. A lot of people when they hear the words multilevel marketing think straight away, “oh no, I’m going to have to sell cleaning products to my granny, or fruit juice or vitamins.” But one of the beautiful things about THIS business is that it’s poker. It’s about the sexiest product there is. There’s already a huge and very well established market. Over 8% of the population in the UK has already played poker online. That statistic alone shows that people like Poker, they like our product. It doesn’t matter where you go people are people. This is an international business by the way. We are the only multilevel marketing poker website on the planet at the moment; we’re the only people who can offer this opportunity. It’s not just poker players. Anyone who would like to earn an extra income will be interested in this site. This is your chance to share in this very exciting, lucrative, big money affair. Take any hundred people at the start of their working careers and follow them for 40 years until they reach retirement age, and here's what you'll find, according to the Social Security Administration: only 1 will be wealthy; 4 will be financially secure; 5 will continue working, not because they want to but because they have to; 36 will be dead; and 54 will be dead broke-dependent on their meagre Social Security checks, relatives, friends, even charity for a minimum standard of living. That's 5% successful, 95% unsuccessful. Where are you going to be? Picture where you want to be. For example, I want a house in Barcelona, a house in Sydney, a penthouse on the Gold Coast in Australia and a summer mansion retreat on the Hawkesbury river. I want a sailing boat AND a motor yacht, I want 10 million quid in cash sitting in the bank, £100 million in shares. You no doubt have a similar picture of what you want in your mind. NOW, what are you prepared to do to get there? Are you prepared to pick up that phone? Are you prepared to let me teach you how to do it? Are you prepared to go and put some post it notes out and about the place?